Space Systems/Loral (SS/L) today announced that it has been awarded a contract to manufacture a new spacecraft for HISPASAT Group, the seventh largest satellite operator in the world and the leading operator in the broadcasting and distribution of contents in Spanish and Portuguese. HISPASAT will use the new satellite to broadcast and distribute TV and radio programming in the Americas and Europe as well as for deploying universal social services and corporate fixed and mobile telephone networks in the regions. "Space Systems/Loral has been an excellent supplier in helping us maximize the value of our satellite investment," said Petra Mateos-Aparicio, Chairman of HISPASAT. "We are very pleased to continue our working relationship with this contract for Amazonas 3, which reinforces HISPASAT's position as an important international provider of communications services." 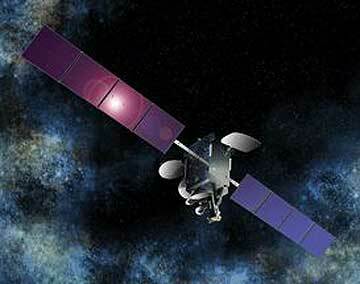 Amazonas 3 is a powerful, state-of-the art satellite designed to replace and expand on Amazonas 1 at 61 degrees West. It is scheduled to be available for launch in 2012. The new satellite will be capable of operating up to 33 simultaneous Ku-band transponders and 19 simultaneous C-band transponders over Europe and North and South America. It is based on the Space Systems/Loral 1300 satellite bus, which is a decades-proven, modular platform with the industry's highest power capability and flexibility for a broad range of applications. It will have a launch mass of approximately five tons and will produce nearly 14-kW of power at end of life. "As we enter the final testing phase of the satellite that HISPASAT ordered from us in 2008, we believe there is no better endorsement than that of a satisfied customer placing a repeat order," said John Celli, president of Space Systems/Loral. "HISPASAT and Space Systems/Loral share a commitment to expanding communications access around the world and we are very pleased to continue our excellent working relationship."